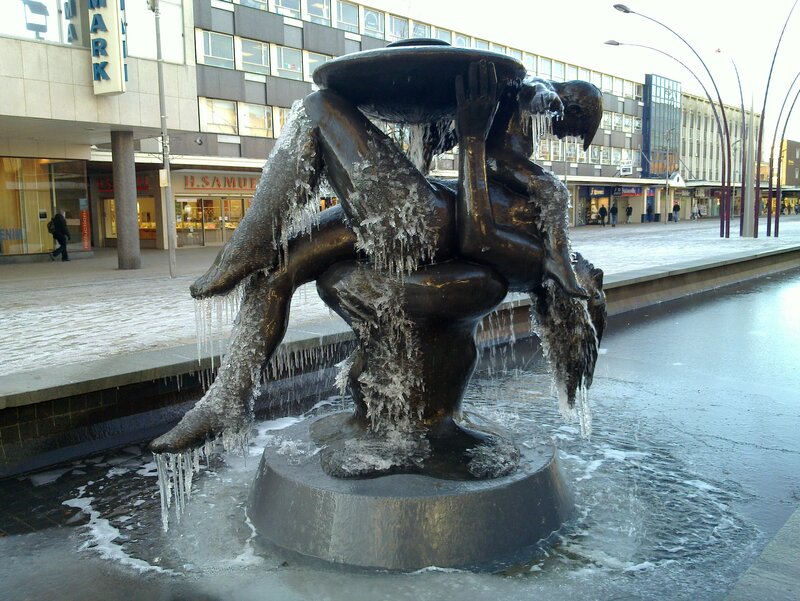 You may recall that a couple of weeks ago I posted a picture of the “Mother and Child” statue in Basildon Town Centre covered in ice. Thursday morning I was in Basildon very early and the statue looked spectacular. I thought it worth sharing a picture.